CSA T20 challenge resumes today after a day’s break. The 6 teams have played a match each and the 4th match will see Knights and Warriors fight each other. The two teams have had very different opening matches. 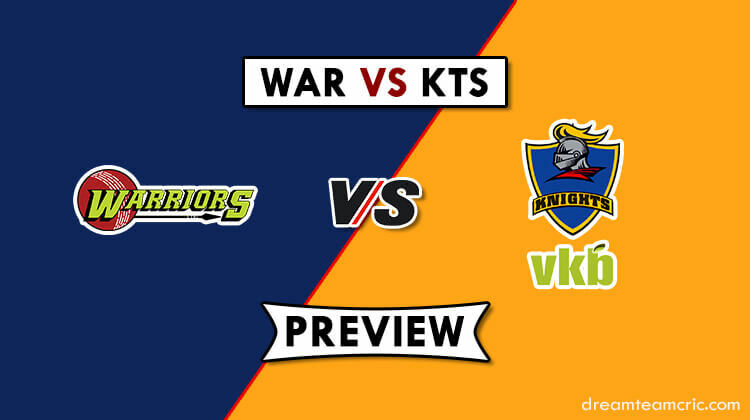 Warriors surprised all by registering a comfortable win over reigning champions Titans in the first match before Knights lost their match against Dolphins. Knights must have hoped for a positive start in CSA T20 challenge after a dismal Momentum One Day Cup. However, the team that lacked the cutting edge in the one-day tournament looked no better in the shortest format of cricket. They will do well to realize that their campaign in the CSA T20 Challenge could derail quickly if they didn’t make timely amendments. Warriors, on the other hand, must be delighted to start the tournament by defeating the champions. Everyone had written them off but they delivered in a fashion that made Titans look ordinary. They will now aim to carry the confidence into the next match and win it to get an early lead in the tournament. Knights know that they need their batsmen to find their groove if they are to win against Warriors. The Knights have seen their bowlers shine but the batting has been lacklustre. Meanwhile, Warriors’ captain JJ Smuts will urge his troops to not get complacent and make the most of the newly found confidence in tomorrow’s match.